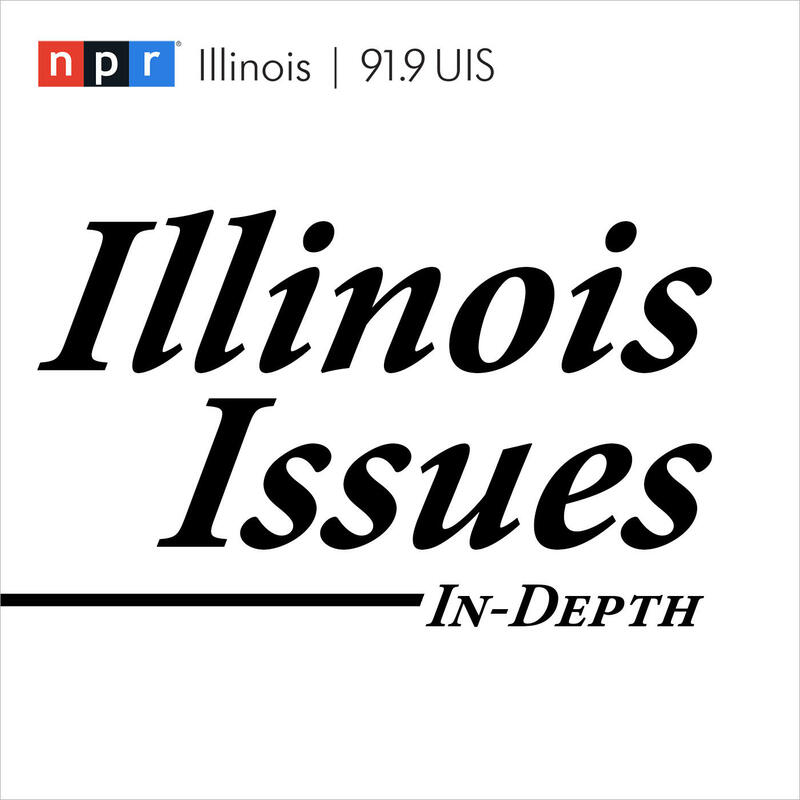 Brian Mackey discusses the Pritzker agenda with host Sean Crawford. Watching campaign ads on TV, one could get the impression he promised little more than “fighting for the state of Illinois” and similar pap. But more substantive proposals are out there. Early in his tenure, Gov. Bruce Rauner produced the “Turnaround Agenda.” It included 44 bullet points of things he wanted to get done. But some of that was not what Rauner emphasized in his campaign — particularly his drive to weaken labor unions and their allies in the Democratic Party. So we though it’d be useful to enumerate the Pritzker Agenda, at least as it existed when he was trying to convince Illinoisans to elect him. Much of that consists of “principles” and “priorities” — vague ideas rather than specific initiatives. But to observers who judged him primarily on the platitudes heard in ads and debates, there is a surprising amount of detail. This list will focus on the concrete proposals — things that can be enacted through legislation or through the executive branch of government — and may be more representative than comprehensive. Whether in five months after Pritzker’s first legislative session, or in four years should he choose to run for reelection, this checklist can be used to judge Pritzker’s progress toward enacting his agenda — and that of his opponents in trying to block him. Pritzker made several promises in the area of health care, including the creation of a state ”public health insurance option.” The plan, called IllinoisCares, would let people buy into the state’s Medicaid program. His campaign says based on current Medicaid spending figures, that annual cost would be in the range of $3,350 per adult and $2,108 per child. Because people would have to buy in, he says the plan would have no cost to taxpayers. By my informal and likely erroneous tally, Pritzker’s campaign pronouncements included the word ”jobs” in every other sentence. Never mind that economists say governors don’t have much influence on job creation — this is what modern politicians are compelled to say. Raise the Illinois minimum wage to $15 an hour. Pass a big infrastructure spending bill — money used to build and repair highways, bridges, ports, public transpiration, and government buildings. Make high-speed internet access available everywhere in Illinois. Upgrading the locks and dams on the Mississippi and Illinois Rivers. Update lead pipes in water systems. Make “microloans” more widely available. Pass a Truth in Lending Act, aimed at protecting small business owners. Increase funding for Small Business Development Centers. Review the Enterprise Zone Program to make sure the state is stimulating growth in the most economically distressed communities. Make more money available to farms for investment in technology. Force “net neutrality” on internet service providers that have state contracts. Pursue legislation that prevents employers from asking about salary history. Support construction of a third Chicago airport near Peotone, in the far south suburbs, on the condition it doesn’t take jobs away from O’Hare or Midway airports. Increase the “aspirational goal” for the share of state contracts going to women- and minority-owners businesses to 30 percent. Create a cabinet-level position to make sure that aspiration becomes a reality. Have a loan program that helps minority business owners compete for state contracts. Start minority- and women-owned business “accelerators” to provide mentoring, financing and other help. Fund pre-apprenticeship programs to help people from disadvantaged communities get jobs in the building trades, both union and non-union. Expand employment programs for disadvantaged youth. Help “unbanked” communities by encouraging financial institutions to provide services in libraries and other public spaces. Cap rates for check cashing. Support a graduated or progressive income tax, where higher amounts of income are subject to higher tax rates. Such a change would have to be passed by the legislature and ratified by voters at a general election. Support “fair maps” to stop legislators from gerrymandering their own district boundaries. Support term limits for leadership roles in the General Assembly, though not for legislators in general. Change annual state pension payments so they’re level every year, putting more money in up front rather than trying to cut benefits, thus fulfilling what he calls both a moral and legal obligation to workers and retirees. Lower property taxes, especially on lower-income households, as part of shifting the main funding burden for education from local government onto the state. Lowering the mandatory school enrollment age from 6 to 5. Incrementally enroll more 3- and 4-year-olds in preschool — about 12,500 a year for eight years. Expand “birth-to-three” home visit services and create a “Family Engagement Portal” to educate new parents on child development. Create a single, shared application for every state university in Illinois. Increase financial aid for low-income college students, known as Monetary Award Program or MAP grants, by 50 percent. Create a state-run program to help people refinance student loan debt. Restore funding for state universities and community colleges to levels that predate Gov. Bruce Rauner’s tenure. Assign a task force to study how Illinois might “set a course toward” free college. Make it so 90 percent of Illinois households can access the AIM-HIGH merit-based financial program. Ensure university credit for Illinois community college courses. Expand technical education and apprenticeships. Start new statewide competitions for university students to foster entrepreneurship. Have state grants seed start-ups based at universities. Let servicemen and -women more easily use past military experience to earn college credits. Make it easier to get a professional license based on military skills. Expand incentives for businesses to hire veterans. Increase nursing staff at state veterans’ homes. Ensure physicians get more training in the dangers of opioid addiction, plus treatment options. Limit the number of days on someone’s first opioid prescription. Increase access to drug courts and treatment facilities. Commute prison sentences of people incarcerated for marijuana (though very few people are in prison solely for marijuana offenses). Create a Cannabis Equity Program to promote minority entrepreneurs in the field, waiving fees and offering subsidized loans. Ban assault weapons, bump stocks, and large-capacity magazines. Have universal background checks for all Illinois gun sales. Direct state money to programs that interrupt violence and promote conflict resolution. Create a unit in the Illinois State Police to investigate gun trafficking and related crimes. Change sentencing laws by “adjusting” punishment for non-violent offenses, reducing the use of mandatory-minimum sentences, and giving judges more discretion to sentence people to probation. End monetary bail across the state. End the “unjust application of fees and fines” on people who cannot afford to pay them. Prioritize rehabilitation services in prison — job training, mental health and substance abuse treatment, and education. Place certain qualified ex-offenders in state jobs. Make the Traffic and Pedestrian Stop Statistical Study permanent. Former and outgoing Illinois leaders offer suggestions for the man going to the mansion. When it comes to Illinois state government over the past half century, James Nowlan has been both a watcher and participant. Gov.-elect J.B. Pritzker is pushing for bigger salaries for Illinois' top government officials.